Artis Town, at last. | Scuffalong: Genealogy. Artis Town, at last. – Scuffalong: Genealogy. In the dim front office of a low brick building on the northern edge of Snow Hill, I explained myself: “I’m looking for a place in the road called Artis Town. There used to be a sign. Like, a green one with white letters. And it was somewhere off Speights Bridge Road, or maybe Lane Road, but I hunted up and down this morning and couldn’t find it.” The good old boys were puzzled. “Artis Town … Artis Town …” “Well, naw, I never heard of … Mike! You know where Artis Town is?” “Artis Town. Artis Town ….” An older man walked through the door and was put to the test. “Well, I think … hmmm. Hey. Call Donald. If he don’t know, don’t nobody.” … “Hey, Pam, is Donald — wait, you’re from out that way. 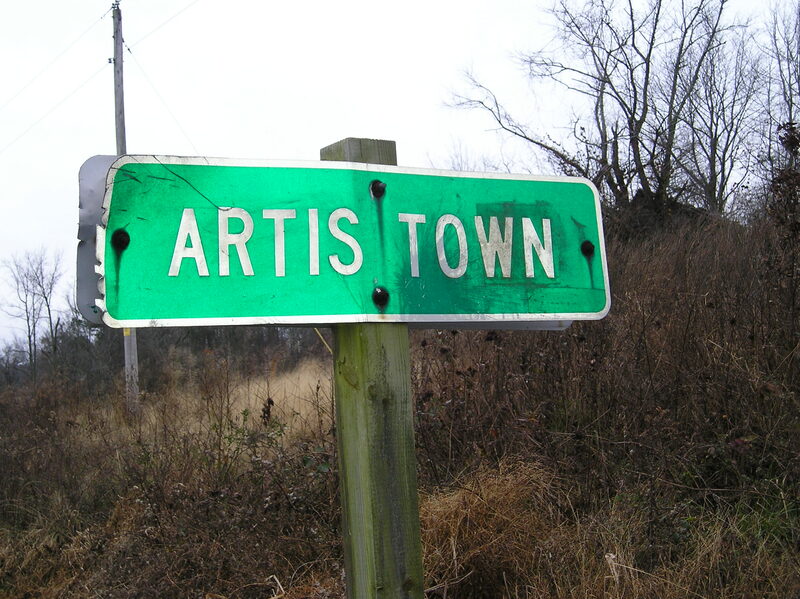 Do you know where Artis Town is? … Okay … okay … okay. Donald? Yeah, Artis Town. … Okay … mm-hmm … that’s what Pam said. Okay, thankee.” And sure enough, it was in a bend of Lane Road, off Speights Bridge, and there had been a sign, and it was gone. I dug my old laptop out of storage today. It took a bit of searching, but finally: photos I took in December 2004 when I was wandering the roads of Greene County with no real purpose other than a penchant for what Least Heat-Moon calls “blue highways.” Almost ten years would pass before I’d connect Artis Town with my own Artises. The ancestors, though, are patient. Photographs by Lisa Y. Henderson, 23 December 2004. Lisa your Blog has so many elements to it. I keep coming back. Oh, I hope my North Carolina DNA matches are some kin to you. I love your research and the personal touches on this piece. It reminded me of when I made my brother stop in Midway Alabama to get the water tower and town sign. Keep it up Girly! You got some readers out here! Wouldn’t it be great indeed if we matched? I LOVE a good collabo! And thanks so much for your comments. This blog is as much about story-telling as it is about who-begats, and I challenge myself to find a “hook” for every post. I grew up in the town my father and his parents grew up in, so I shouldn’t be surprised by the invisible webs that link me to so many places and people I’ve known, but, nonetheless, epiphanies like Artis Town continue to amaze me! I just love the way you relay these moments. You make them come alive and as I was reading, I could just hear them trying to figure out where Artis Town was! Lol! Thanks, Amy! It was a great scene. They were determined to help! Pingback: Artis Town reclaimed. | Scuffalong: Genealogy. Pingback: Volte-face, no. 1; or 52 Ancestors: Daniel Artis. | Scuffalong: Genealogy. I am from Greene co, I lived 5 mins from Artis Town. My family has found lots of documents showing our family live near Artis town but never find anything about the town. Hi, Jamarcus. Do you know your Artis line back to 1870? 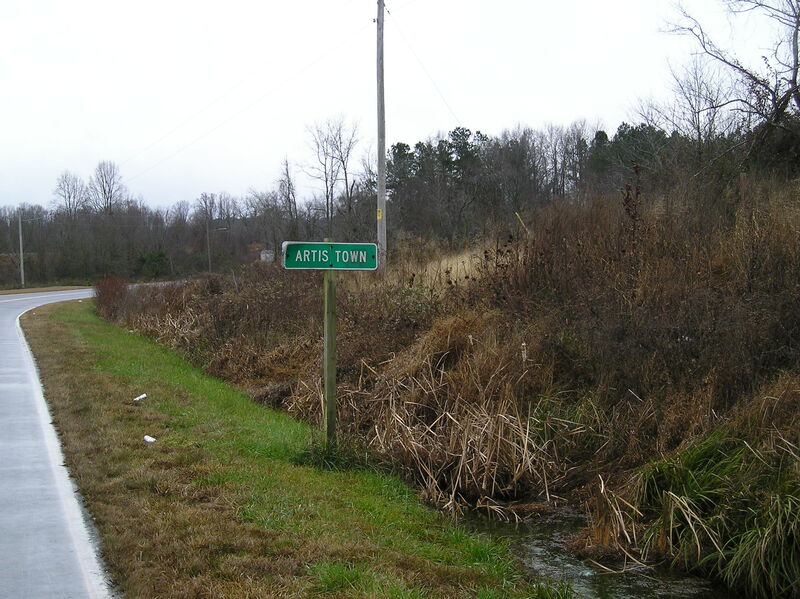 Artis Town wasn’t an actual town. It was a community formed by several related families. I’d love to figure out if we’re related! Hello Lisa. I am Antonio Artis from Greene County. Me and Jamarcus are related. We have a huge family in this area. And also in the surrounding counties. I am very interested in our family lineage. Let’s get the ball rolling and do the leg work. Any leads(documents, deeds, maps will be very appreciated. Hi Antonio. More than deeds and maps, it’s a matter of tracing your descent. Start by asking your oldest relatives what they know about your Artis lineage. Then consult vital records and census records to push further back. If you and I are related, it will be clear by the early 1900s. Keep me posted! I have just begun something that has always amazed me as a little girl. The questions of who am I really. My grandmother was named Ossie(Ociabelle) Bell Bunn and married my grandfather who was Fonza(Alfonza) Artis as we now spell it instead of( Artist) from Wayne County, North Carolina. I never met my grandfather but was told he was part Indian and it seems as if he might be from the Nanhhunta tribe of indian, but I am still researching that issue. My daughter is 13 and is asking a million questions about her ancestors and I am compiling all that I know and think for her. I came across your link and find it very close to my information. Hi, Geneva. I have never heard of a Nahunta tribe, though Nahunta is the name of the township in northeast Wayne County in which my Artises lived. They were mixed-race, but predominantly of African descent. My grandfather is Jonah Artis Jr. I have pics of them all. Hi, Jamarcus. I recently posted photos of Jonah and his brother John Henry.